A covered structure used to protect vehicles is known as a carport. Cars from rain and sun, for the most part. It's nice to get in your vehicle while covered in a rain storm. Or under a roof and protected from the blazing sun. The structure is freestanding. Or attached to a wall. Carports have one or two walls. They offer less protection than garages but allow for added ventilation. P.M.S.S. are experts in the planning and constructing of additions for your home. This includes modern carport planning and construction. 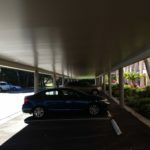 Carport canopies are made with metal (steel, tin, or aluminum). Their "tong and grove" design make the instillation easier. Helping to lower the cost. For protecting cars from the weather and sun damage. Steel and aluminum carports are the best option. They can endure tornadoes and hurricanes. 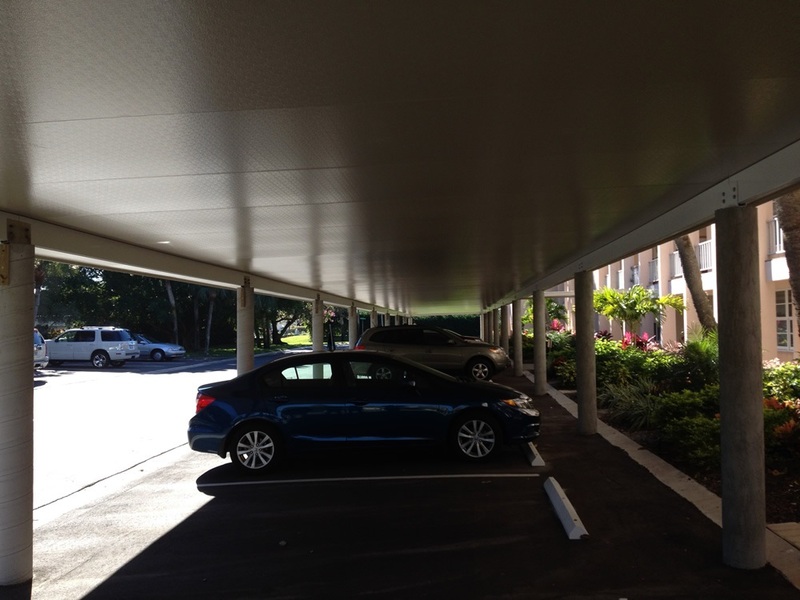 Metal carports are as good if not better than a traditional wood frame or concrete buildings. Our carports are inexpensive, durable, corrosion resistant, and custom-made for you.